The Department of Microbiology is a unique department of Govt. V.Y.T.P.G. Autonomous College where multidisciplinary teaching and research have established permanent roots. The dept is running under self-financing scheme since 2002 for UG classes and since 2005 for PG classes. It strives to set a benchmark in quality higher education with an emphasis on preparing the students to face the world outside in a dignified manner. Considering recent innovations and rapid growth of microbiological approaches an applications in human and environmental sustainability, the postgraduate curricular is designed to promote all round development of students by inculcating a spirit of inquest, discipline and adventure through various academic and co-curricular activities. The department has sufficient infrastructural facilities in terms of two well equipped laboratories and classrooms for PG, which can take care of 40 PG students, one central instrument room for the Ph. D scholars and one UG laboratory. The research laboratory houses apart from regular and routine microbiological equipment variety and advanced instrument like column chromatography, electrophoresis facilities, fementers, high speed refrigerated centrifuge, shaking incubator, laminar air flow stations, deep fridge and BOD incubators. The department is also equipped with e-classroom. Research project supported by the department has undertaken minor research projects supported by funding agencies like UGC & CGCOST. Several research papers have been published in various national and international journals apart from presentations in local and outstation institutes. Apart from the syllabus, the department organizes guest lectures, workshops, seminars, group discussions, quiz programme, project work, industry visit, poster presentation etc. to install scientific temper and technical skills among students. Rahul Kumar student of Batch 2013-14 has been awarded INSPIRE Scholarship; a DST funded scholarship is undertaking cutting edge research on contemporary issues. Students go to various reputed research institutions to undertake project work for partial fulfillment of their PG course. The department has also signed an MOU with Dept. of Microbiology, Govt. ERR college of Science, Bilaspur (CG), to undertake Project work. Students are directed for R&D activities related to their courses. 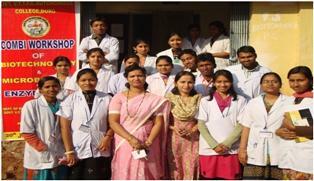 Extension camp and social awareness campaigns are regularly arranged in the department. VA Mycorrhizal, Rhizobium and Cyanobacteria based bio fertilizer formulations are being in progress in the department. Over the years the department has established itself as a centre of higher learning promoting teaching and research. To get the students familiar with the important inhabitants of earth “the microbes” and their activities central to human welfare. The department is having separate labs for UG and PG classes. A common instrumentation lab is also there for some sophisticated instruments. The department has now developed with sufficient instruments and equipments required for research. The department not only caters the students of the other institution for their dissertation work but also facilitates interdisciplinary research. The Research scholars of Dept. Of Botany, Chemistry and Physics and PG students of Geology use the laboratory equipments and microbial cultures for their study. 1. Green synthesis of ZnO nanotubes for bio applications. International Journal of Advanced Engineering Research and Studies, 4(2): 280-281, 2015. Savita Sharma, A. Oudhia, N. Brahme and Pragya Kulkarni. 2. Study of Photocatalytic Degradation of Methyl Orange by ZnO Catalysts synthesized through biotemplates. International Journal of Computer & Mathematical Sciences, 4, Special Issue September: 47-52, 2015. Savita Sharma, A. Oudhia and Pragya Kulkarni. 3. Heavy metal tolerance studies on the fresh water filamentous cyanobacterial species of Durg-Rajnandgaon dist., CG, India. Adv. Plant Sci. 28(2): 217-220, 2015. (IF– 2.7) Pragya Kulkarni and Chetna Gupta. 1. Effect of Agro-Edaphic conditions on the association, diversity and distribution of AM fungi associated with indigenous weed flora. Indian J.Sci.Res.4 (1): 53-59. (IF 1.4) Pragya Kulkarni. 2. Fresh Water Cyanophycean Algae from Durg and Rajnandgaon District (C.G. ), India. International Journal of Science and Research (IJSR), 3(8): 1337-1341. (IF : 3.358) Chetna Gupta and Pragya Kulkarni. 4. Heavy Metal Tolerance Studies of Cyanobacterial Species under Experimental Conditions. Periodic Research, 3(2): 93-95, 2014. Pragya Kulkarni and Chetna Gupta. 1. Screening and evaluation of soil fungal isolates for xylanase production. Recent Research in Science and Technology, 5(2): 33-36. Pragya Kulkarni and Nivedita. 2. Antibacterial activity of ZnO nanoparticals obtained using Neem leaf extract as Biological Templete against Escherichia coli. Adv. Plant Sci. 26(2): 367-370. (IF– 2.7) A. Oudhia, N. Brahme, Pragya Kulkarni and Savita Sharma. 1. Studies on absorption tendencies of chromium & zinc from water by Pistia stratiotes under experimental conditions. National Journal of Life Sciences, Volume 09 (1): 128-130(2012). Sujata Gaherwar and Pragya Kulkarni. 2. Studies on removal of toxic heavy metals from water by Eichhornia crassipes National Journal on Scientific Research, 3(2): 99- 103. Sujata Gaherwar and Pragya Kulkarni. 3. Evaluation of antimicrobial activity and characterization of soil Actinomycetes from Social Forest area of Bhilai Township, Chhattisgarh. Journal of Pure and Applied Microbiology, 6 (2): 1985-1990. Pragya Kulkarni and Rozina Siddique. 4. Bioabsorption of Zinc from pond water using water lettuce (Pistia stratiotes). Journal of Ecobiotechnology, 4 (2):145-147. Sujata Gaherwar and Pragya Kulkarni. 1. A prevalence of sickle cell disease among various communities in Jamul area of Bhilai, Chhattisgarh, India. In, Proceedings: National seminar on Sickle Cell Disease, Kabirdham Dist. 29-30 Jan 2011, pp. 80-83. Khilendra Dewangan, A.K. Shrivastava and Pragya Kulkarni. 2. Aeromycological profile of the public parks of Bhilai Township, Chhattisgarh, India. Indian Journal of Science and Technology. 4(5): 19-21. Pragya Kulkarni. 3. Biodiversity of ArbuscularMycorrhizal (AM) fungi associated with cultivated medicinal plants. Adv. Plant Sci. 24(1): 125-128. (IF- 2.7) Pragya Kulkarni. 4. Response of ArbuscularMycorrhiza (AM) fungi on growth of cultivated medicinal plants. Adv. Plant Sci. 24(2): 487-490. (IF - 2.7) Pragya Kulkarni. 5. Differential temperature and growth pattern of Bacillus subtilis strain isolated from different area of Bhilai (C.G.) In Proceedings National Seminar on Climate Change and its effect on Biodiversity. Bhilai, 67-71. Khilendra Dewangan, A.K. Shrivastava and Pragya Kulkarni. 6. Intramural Aeromycological studies in the environment of residential colonies near social forests of Bhilai Township, Chhattisgarh. In Proceedings National Seminar on Climate Change and its effect on Biodiversity. Bhilai. Pragya Kulkarni. 7. Airborn Aspergillus in different environments of Bhilai Township. In Proceedings of National Seminar on Emerging Trends in Scientific Research, 11-12 October 2011, Durg. 81-85, 2011. Pragya Kulkarni. 8. Isolation, confirmation and amplification of α amylase from Bacillus subtilis soil isolates. Int. Res.J. Lab to Land, 3(11): 373-375. Khilendra Dewangan, Pragya Kulkarni and A.K. Shrivastava. 1. Vesicular Arbuacular Mucorrhizal infection process in Andrographis peniculata. National Journal of Life Sciences. 7 (3): 320-322. Pragya Kulkarni. 1. Occurrence of Arbuscular Mycorrhizal association and diversity in field weeds. J. Bot. Soc. Sagar Uni. 43: 88-95. Pragya Kulkarni and Akanchha Singh. 1. Arbuscular Mycorrizal association and diversity with some weeds of cultivated fields. Adv. Plant Sci., 20(2):69-73. Pragya Kulkarni. 2. Prashant Shrivastava, N.P.Dixit and A. Asthana, Mandeepkhol Cave: Natures wonder in Rajnandgaon Dist. Chhattisgarh, India. J Currt. Sci. 10(2) 757-762. Pragya Kulkarni. 3. Mandeepkhol Caves: A classical site of Krast Topography, Rajnandgaon Dist. Of Chhattisgarh, India.Ultra Sci. 19(1):153-155. Prashant Shrivastava, N.P.Dixit and Pragya Kulkarni. 2. Studies on Pleurotus spp. as related to spawn production. Indian Mushrooms, 72-73. Pragya Kotwaliwale and S.S. Ali. 1. Assessment of yield and Biological efficiency of Pleurotus spp. on two natural substrates. Biome, 4(2):129-132. S.M. Kumar, S.S. Ali and Pragya Kotwaliwale. A National Seminar on the theme “Recent Trends in Plant and Microbial Sciences” was organized in the department in association with Dept. of Botany. A total number of 107 participants from different cities were participated the Seminar and take part in the discussions on the theme. Dr. Bhawana Pandey, Dr. Sateesh Kumar Sen, Ku. Richa Dwivwdi, Ku. Naureen Shaba Khan, Ku. 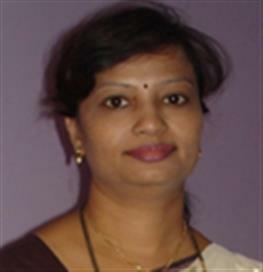 Pratibha Sharma, Ku. 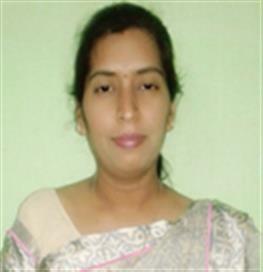 Seema Yadav, Ku. M.Lalita, Mrs. B.Shanti, Dr. Ujjawala Supe, Mrs. Seema Belorkar, Dr. P.K. Saluja, Mrs. Soniya Bajaj, Mrs. KS Shukla, Mrs. Meena Chakravarti, Ku. Chitralekha Mandavi, Mrs. Sudha Verma, Mrs. Deeptimayee Das. The lecture covered origin and developmental history of antibiotics, different types of antibiotics, target ranges, damaging effects and resistance developed by different microorganisms against antibiotics. List of Plants and Animal diseases were described and etiology, disease cycle and prevention measures were discussed. History of Mushroom cultivation and different types of cultivable mushrooms were described. A common concept regarding method of cultivation for all mushrooms was discussed and detailed method for Oyster Mushroom was explained. History of Vaccine development was described. Different types of vaccines and method of administration was detailed. Thedepartment has its own library maintained for PG students. The text books areissued for 02 books per student on weekly basis and the reference books andjournals may be referring as and when required daily. Altogether 27 H.S. School teachers attended the training programme conducted under DBT STAR College scheme. The programme covered both theory and practical training about isolation and identification of microorganisms. The teachers prepared their own microscopic slides, get them stained and observed under microscope. They also differentiate bacteria on the basis of colony characters and gram staining method. Every teacher was given relevant handout for preparation of their reports. The pragramme was like refresher to the science teachers. All of them participated enthusiastically. Students of M.Sc. Sem II and IV visited a Biofertilizer production unit run by an NGO, at Chhatagarh, Durg. The students learnt the process and precautions for large scale production of Rhizobium and Verticillium based biofertilizer production. 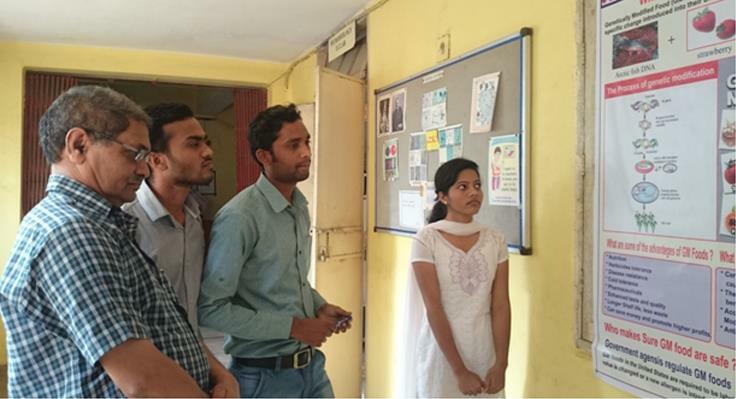 The students got aware of technology transfer and R&D procedures. 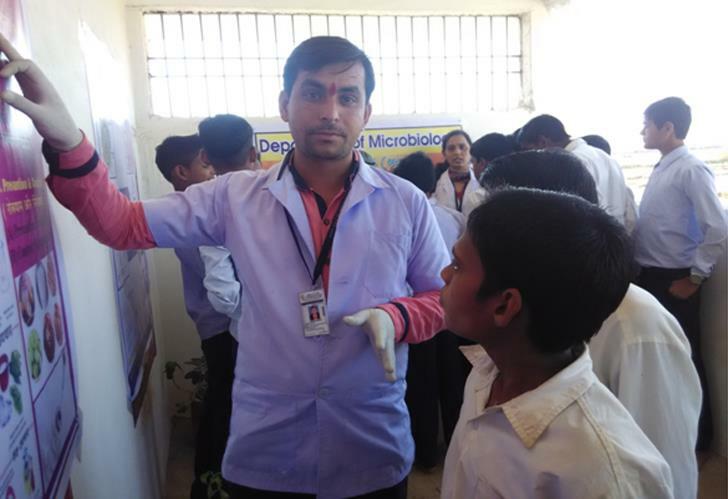 The department of Microbiology has organized a one day extension camp at a nearby Govt. H.S. School Anjora Dhaba (Durg) on 30.01.2016 The programme was volunteered by 36 students of M.Sc. (Microbiology). The blood samples from 164 students of class 8, 9 and 10 were taken with the help of paramedical staff and their blood groups were identified. The blood group cards were given to respective students with some tips on common and un common types of blood groups and required precautions. At the end of programme, the Principal of the school extend the vote of thanks and congratulate the student volunteers for their activity. This activity was preliminarily aimed to provide exposure to the students to extend their knowledge to society and also to provide hands on experience of their laboratory skills. All the students participated enthusiastically. Shri Shankaracharya College, Junwani, Bhilai. A Teacher-Parent Association is established in the department to look after over all development of PG students, to discuss their problems and to give them suggestions reading co-curricular, extra curricular activities conducted in the college or other institution. The Head of the Department issue notices regarding events and activities help the students to prepare for and motivate them to take part. The information’s regarding student's family background, previous academic records and hobbies are registered. The departments of Microbiology has organized a Parents meeting on 16.01.2016 with a view to get them aware of the facilities provided and achievements of the department and also get their feedback about the progress of their ward as well as to discuss their problems. The parents get aware of available seats for PG classes, admission procedure, subject scope, teaching method adopted in the department, available instruments and their uses, result analysis and achievements of alumni. Availability of water for working in lab and drinking should be made regular, information regarding competitive exams and other exams and possibilities of employment should be given, city bus facility should be provided for the students who come from remote area. All together 22 parents attended the meeting and be pleased about the role of the department in overall development of the students.